From Goodreads: New York City has been decimated by war and plague, and most of civilization has migrated to underground enclaves, where life expectancy is no more than the early 20’s. When Deuce turns 15, she takes on her role as a Huntress, and is paired with Fade, a teenage Hunter who lived Topside as a young boy. When she and Fade discover that the neighboring enclave has been decimated by the tunnel monsters—or Freaks—who seem to be growing more organized, the elders refuse to listen to warnings. And when Deuce and Fade are exiled from the enclave, the girl born in darkness must survive in daylight, in the ruins of a city whose population has dwindled to a few dangerous gangs. As the two are guided by Fade’s long-ago memories, they face dangers, and feelings, unlike any they’ve ever known. NOTE: I don’t usually start my reviews with a note but it is important to make the following statements. I don’t read a whole lot of YA and even less Dystopian. I am one of those people that only read 2 out of 3 books in the Mockingjay series. 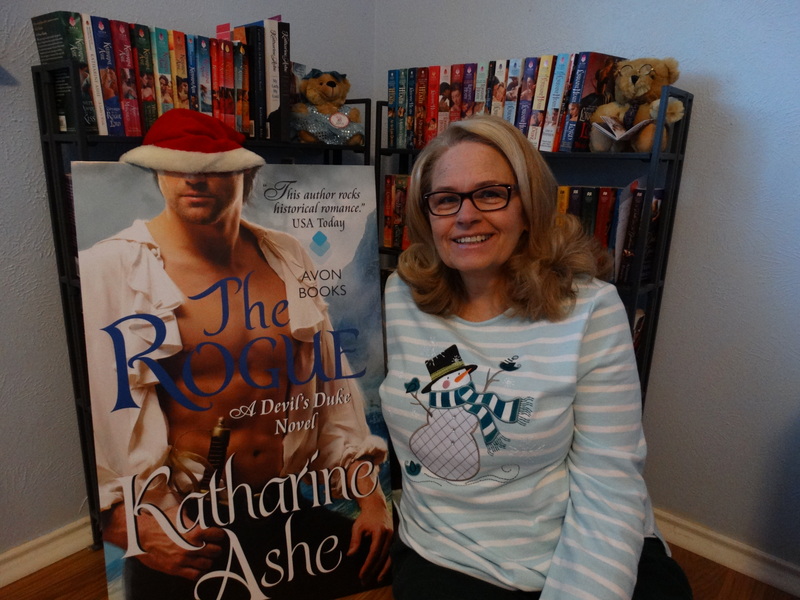 The story, world, and characters created by Ann Aguirre blew me away. So I must thank those people who pushed me to read this despite it being out of my “normal” reading structures. It did not disappoint. 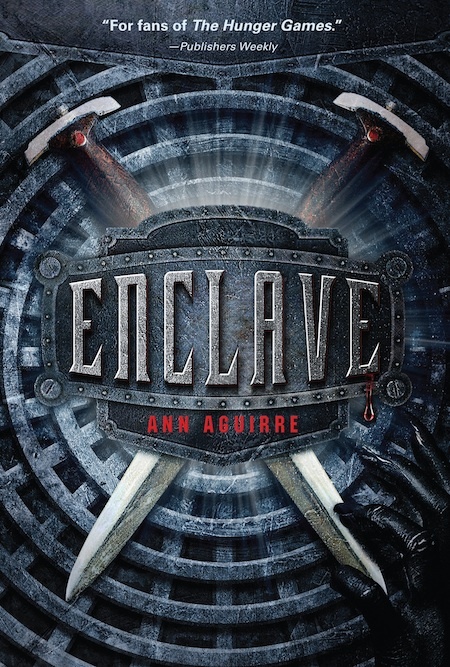 What I Loved: This very unique world that Ann Aguirre created in Enclave is both fascinating and horrific. There were many times that one could imagine living in a place where your life span was so short and very dictated. You have a role in your society and the rules were meant to keep everyone alive for as long as possible. The elders who are meant to know what is best and dole out punishment are your only source of information about what is right and wrong. The world is small and it is dangerous to go beyond the perimeters. This has all been drilled into your head since you were brat (what all children are called) and well-learned by the time you get to the naming ceremony. This is your world and no one really questions it. Then on the other hand there is this whole other world that Ann Aguirre created in Enclave that also thinks that their way is the only way to live. They have their rules, survival techniques, and standards by which they live. We see less of it but while different these two societies are set up with one goal: survival. What happens when people from these two societies meetup under horrible circumstance and then must team up in the ultimate quest for survival? That is the circumstances that lead to another journey to find a 3rd group who has been rumored to be in the world too. This is the time they must throw all their differences aside and learn to trust and work with someone that is from somewhere foreign to them. This to me was the most fascinating thing about this story. Watching these teenagers whose lives were so secluded, yet terrifyingly cut throat, navigate through the unknown without guidance. The sheer bravery, perseverance, and persistence that our 4 main characters (Duece, Fade, Stalker, Teagan) display at each step in their journeys is mind-blowing. What would you do to survive and could you? What I Liked: The layers of Enclave are built on sturdy characters and great descriptive prose. Whether a person is in the story for 5 seconds or 5 pages, they are there to make you grasp the world in which these characters exist. Nothing is wasted in this book and each moment counts. Complaints: The ending was abrupt, which isn’t my favorite way to end a book, but I understand why A.A. chose to do it that way. Audio Specific Review: Narrated by Emily Bauer and she has fantastic pacing, pronunciation, and emotions. Her voice is excellent for most of the characters including Duece and Teagen, whom I thought were exceptionally delivered. The two voices that I had a hard time with were Fade and Stalker; whom sounded much younger than 16 or 17 year olds that they are. Once I got used to their voices, it did not distract from the story but in the beginning it was hard to imagine either of them as young men instead of boys. Why I gave it a 4.5: It probably would have gotten a 5 if not for the abrupt ending. This book was a fantastic read (listen) from beginning to end. I cannot wait for the 2nd installment! 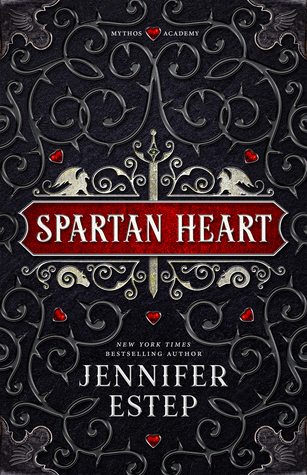 Who I would recommend this book too: Dystopian, Fantasy, and Darker/More Mature YA readers. I feel anyone who enjoys any of these 3 genres will like this book immensely.